We wait for the confirmation of breakout to catch the trade. 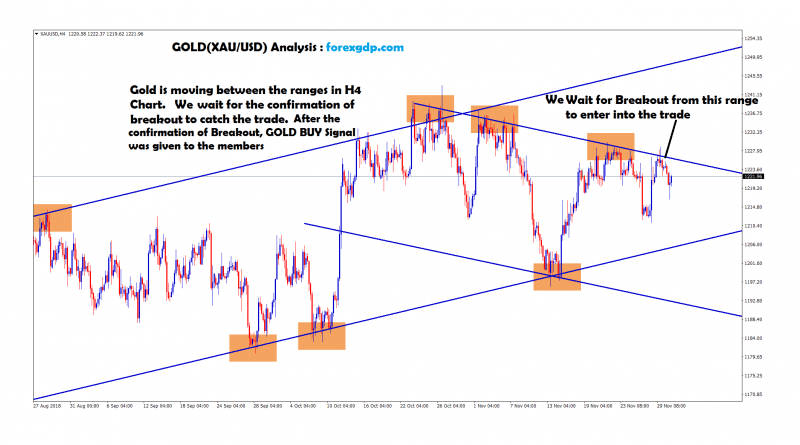 After the confirmation of Breakout, GOLD BUY Signal was given to the members. XAU/USD reached our Profit Target Successfully.